Professional Collision Repair – Your only choice for quality repairs in a friendly atmosphere. Come on in, we’ll take one of a kind care of your car or truck and get you in and out hassle-free. Let our family take care of yours. We are now proud to announce that we are part of the CARSTAR Auto Body Repair Experts Family! At Kraemer Auto Collision, we pledge to focus intensely on YOUR needs. We believe this will bring YOU “peace of mind” and make the unfortunate circumstance of an accident much less stressful. 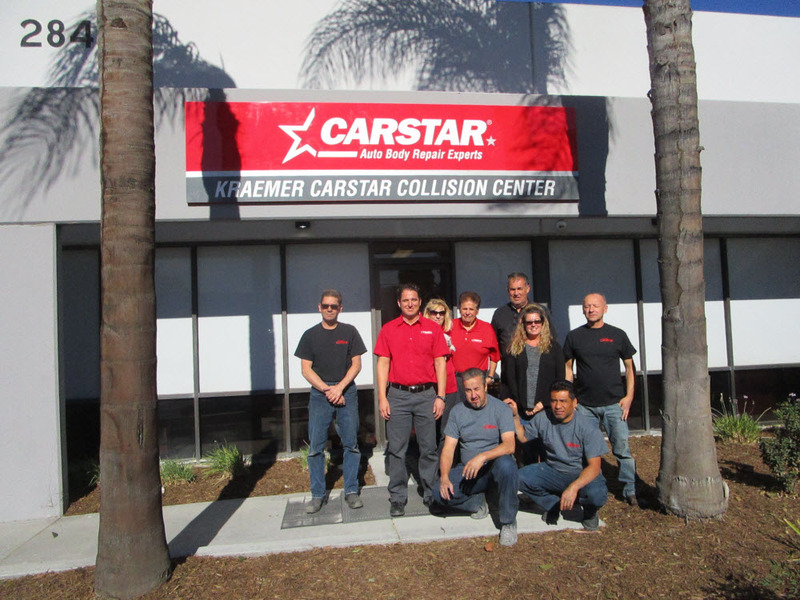 CARSTAR Kraemer Collision Center, a member of the CARSTAR family since 2013, has moved to a new facility located at 2841 E La Palma Ave, Anaheim, CA, 92806. In 1979 Jorge “George” Cuevas started his dream of creating a successful family run auto body shop in a world of Corporate competitors. His shop has been providing one of a kind Customer Service for 34 years. And is now one of the surviving few shops to remain steadfast in a business controlled by politicians and bureaucrats. To continue to bring to our patrons reliability and personality as only a “Truly American”, small business can do. Please feel free to contact us if you have questions, comments or suggestions regarding this website or any of our services.